Did this happen to you - while cooking for your favorite recipe, you realized too late that you ran out of celery. If you’re nodding, then you know how terrible that is. To prevent this from happening again, I’ll be listing seven vegetables that you can use as a substitute for celery. If you run out of celery for snacking, you can eat raw carrots instead. Carrots have the same crunchy texture when eaten raw. Regardless of their size - long, slender, or small, they offer a multitude of positive health effects that make them one of the best snacks. Similar to celery, snacking on c﻿﻿a﻿﻿rr﻿﻿ot﻿﻿﻿﻿s may help you lose weight or keep a healthy weight. Instead of grabbing anything sweet and salty, try snacking on some raw carrots that are cholesterol-free, fat-free, and have small amounts of sodium. Since carrots are also rich in fiber, they satiate your appetite easily and make you feel full longer. Aside from weight control, carrots also offer several nutrients, like beta carotene, potassium, and calcium. Beta-carotene promotes healthy skin, good vision, and immunity from infection. Potassium helps in controlling blood pressure while calcium promotes good bone health. For maximum benefits, only consume fresh carrots. You’ll want carrots that are firm, bright in color, and smooth. Never buy carrots that are limp, cracked, or rubbery. 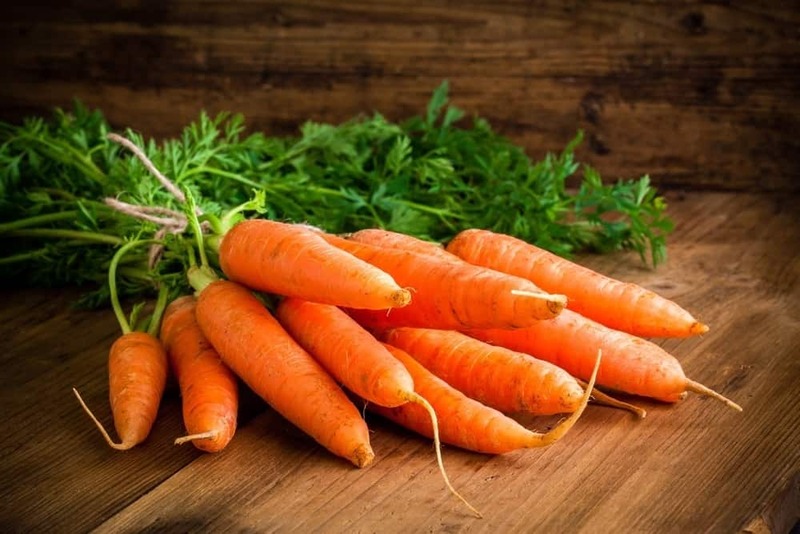 To prepare carrots for snacking, first, rinse them under running water and let dry. With a vegetable peeler, remove the skin. Cut off both ends and slice into sticks, as shown in this video. For raw and cooked dishes, you can use bok choy to substitute for celery. Most people prefer the taste of bok choy because it’s not as bland as celery. Its taste is a bit similar to mushrooms. Best of all, it pairs well with dishes like stir-fries, casseroles, and stews. Bok choy resembles the stalky appearance of celery, but without the strings. It’s closely linked to cabbage, but it also bears a little resemblance to Romaine lettuce on top. For a nice crunch, you can use the whole vegetable for salads in its raw form. 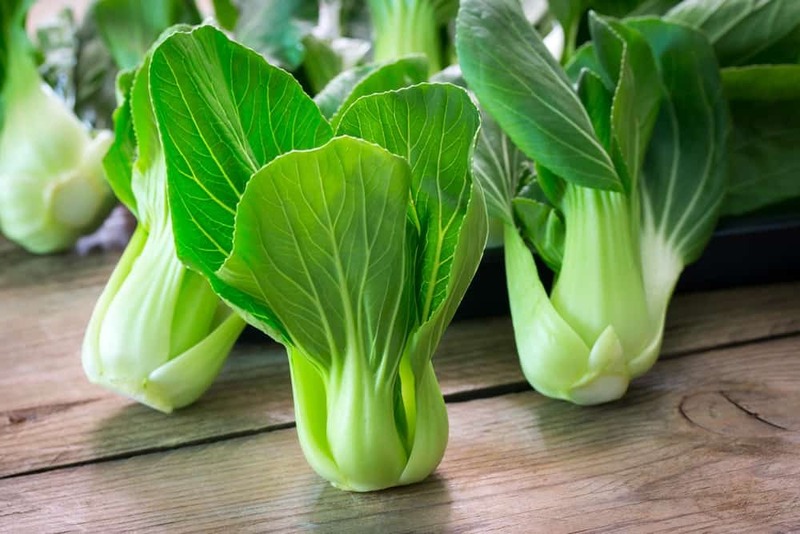 Aside from the mild sweet taste and easy-to-munch texture, bok choy is popular for its nutrients. This vegetable is rich in vitamin A for healthy immune system, vitamin C for antioxidant benefits, and vitamin K to moderate our body’s inflammatory reactions. This powerhouse also contains essential minerals, like magnesium, iron, and calcium. To select the freshest bok choy, look for something firm with bright green leaves. The hard stems should be moist and the leaves must be looking fresh, not wilted. You can find the best bok choy during its peak season, which is in the middle of winter up to the start of spring. If you're cooking some fennel bulbs, don’t throw away the stalks because they have a crispy and herbal flavor that’s almost similar to celery stalks. You can use fennel stalk instead of celery in cooked dishes, like soups, mirepoix, and slow-braised stews. Although fennel stalks take longer to cook than celery, they’re more flavorful. 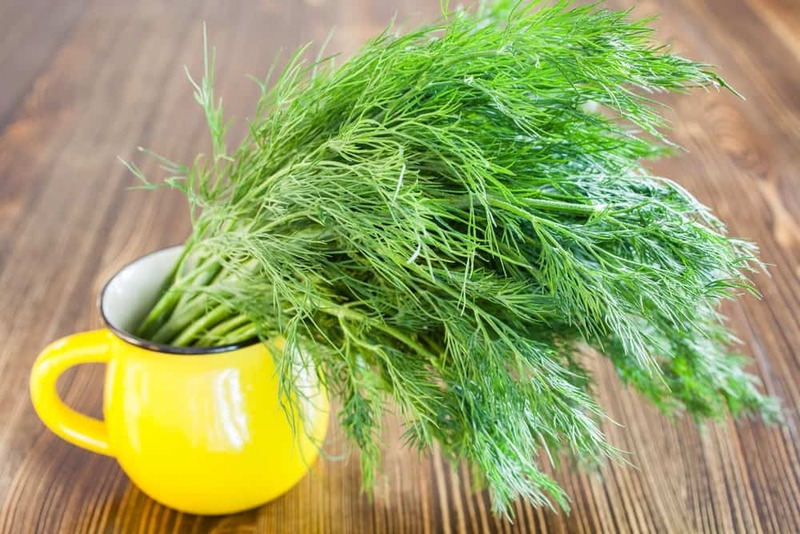 Fennel stalks have a licorice or aniseed flavor and a slight hint of sweetness. If you’re not a fan of this unusual flavor, you can subdue it in sauces, stews, or braises. You can also add the stalks to give it an anise flavor to the vegetable broth. When selecting the best fennel stalks, look for something that is relatively straight and closely laid over another around the bulb. The color of the stalks should be green. You can tell that the fennel is fresh if it gives a fragrant aroma, somewhat like anise or licorice. To remove the stalks from the bulb, cut them away from the area where they meet. Next, use scissors to remove the feathery green leaves from the stalks and trim by removing the thin stems. Finally, cut the stalks crosswise into equal lengths. Watch how the fennel stalks are prepared in this video here. A great replacement for celery in crudites, salads, and snacks is jicama, a round root vegetable that originates in Mexico. Jicama provides the same crunch that you get from celery. It has a texture that’s like a turnip and a taste almost similar to an apple- juicy and sweet. 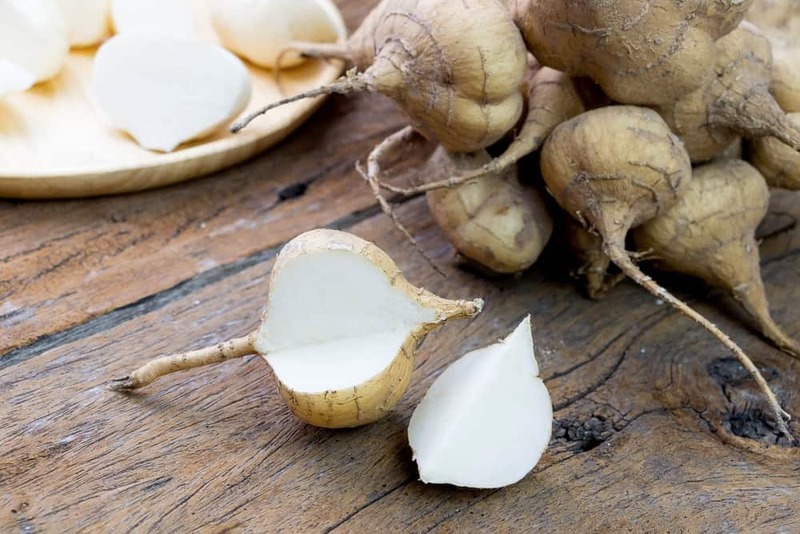 When buying jicama in grocery stores, look for round and firm tubers. The skin should be shiny and free of blemishes. For uncut jicama, store them in a cool, dry place for up to three weeks. Once they’re cut, you can keep fresh in a plastic bag and store in the fridge up to two weeks. To prepare them as snacks, wash them first like you would with potatoes. Make a flat surface by slicing off the bottom and top. Using a durable paring knife, peel the skin in facets. You can cut them into slices or strips, depending on your preference. Chinese celery is an Asian variety of Western regular celery. Unlike the regular celery, Chinese celery has thinner stems, more leaves, and a stronger flavor. This oriental celery is often substituted for the regular celery to be used in soups and stir-fries. If it’s your first time cooking it, try a small amount first, so you don’t get shocked with its strong aromatic and grassy flavor. You can use it in soups, stir-fries, and dim sum. In buying for the most tender Chinese celery stalks, choose those with the whitest and fattest stalks. You can tell that the vegetable is past its prime if its leaves are turning yellow and limp. To prepare, begin by rinsing it under running water. Cut off the stalks’ ends and the part below the leaves. Cut the stalks at an angle and do the same to the leaf portions. Watch how to prepare Chinese celery in this video here. 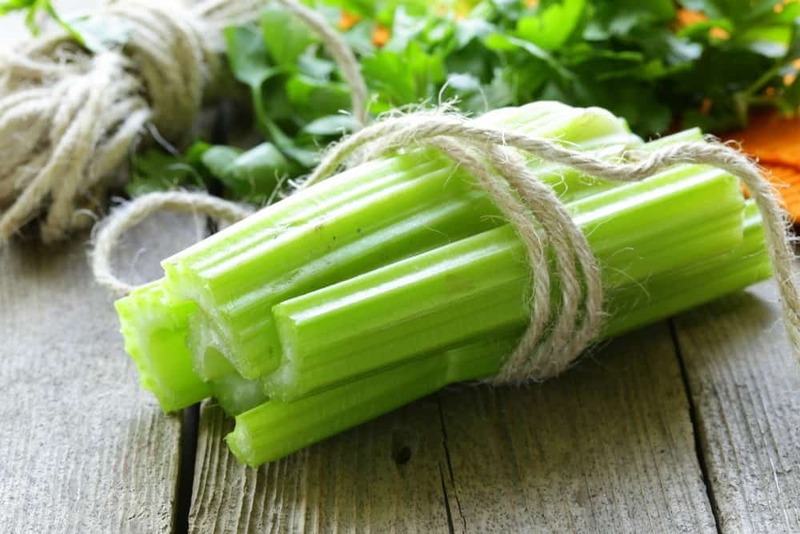 Chinese celery is believed to d﻿﻿ecreas﻿﻿e blood pressure by decreasing the hormone levels related to stress. It can help promote better digestion, appetite, and weight control. If you’re suffering from stomach ulcer or diarrhea, eat this vegetable in moderation because it is known for its cold nature. 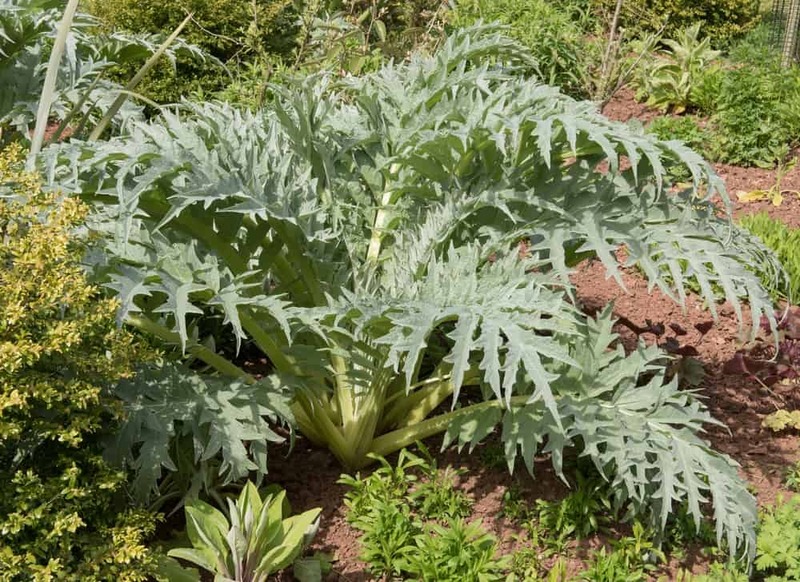 Another good substitute for celery in cooked dishes is cardoon or cardone, a leaf-stalk vegetable. Just like the fennel stalk, the cardoon needs more time to cook. If you’ve seen this leaf-stalk vegetable, you can notice that the stalks look similar to celery, but larger with sharp ridges. If you like the taste of artichokes, then you’ll also love cardoon because they taste the same - tender and sweet. The best cardoon stalks should have stalks that are grey-green in color, heavy, and moist. To keep them longer in the fridge, wrap them in plastic and store in the crisper section for up to 5-7 days. To prepare, rinse the stalks thoroughly and trim the ends. Pull the stalks apart and peel off any thorns, leaves, and strings with a vegetable peeler. Slice the stalks crosswise into 3-inch pieces. To remove the bitter aftertaste, remember to soak them in salted water for an hour before you cook them. Just like the celery, cardoon contains low calories. Resea﻿﻿rch shows that cardoon contains elements that help reduce cholesterol in the blood. It also rich in phytonutrients to combat the oxidative damage from free radicals. If you’re in a pinch, you can substitute celery with cabbage in soups or risotto. To add flavor, you can add a bit of salt. The chopped cabbage will give that crunch that you always get with celery. In a recent study, cabbage is of the two vegetable types that can prevent type 2 diabetes. It’s also rich in phytonutrient antioxidants to fight cancer by reducing inflammation and oxidative stress. To select the best cabbage, look for heads that are dense and firm. The leaves should be crisp, shiny, and free from blemishes. Never buy precut cabbage because it tends t lose its vitamin C content. 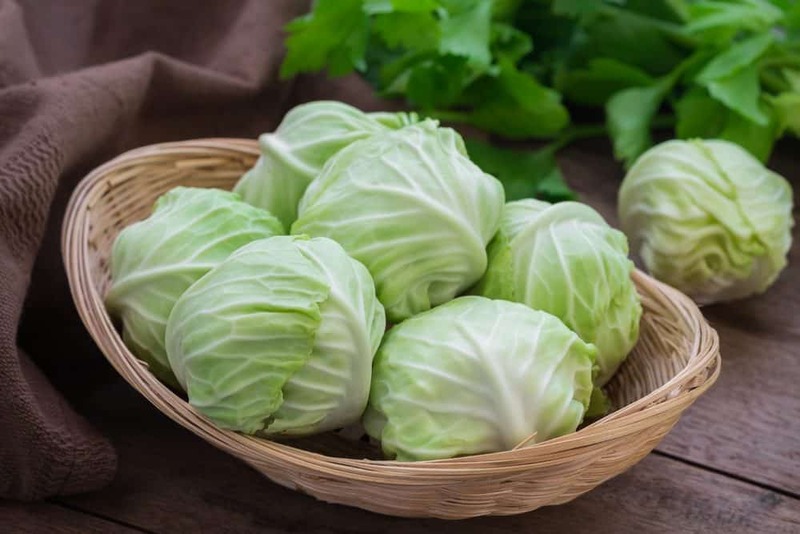 To store cabbage properly in the refrigerator, keep the entire head in a plastic bag. The cabbage will last in the crisper of your fridge up to two weeks. If you must store a precut cabbage, cover it well with a plastic wrap and refrigerate for a couple of days. 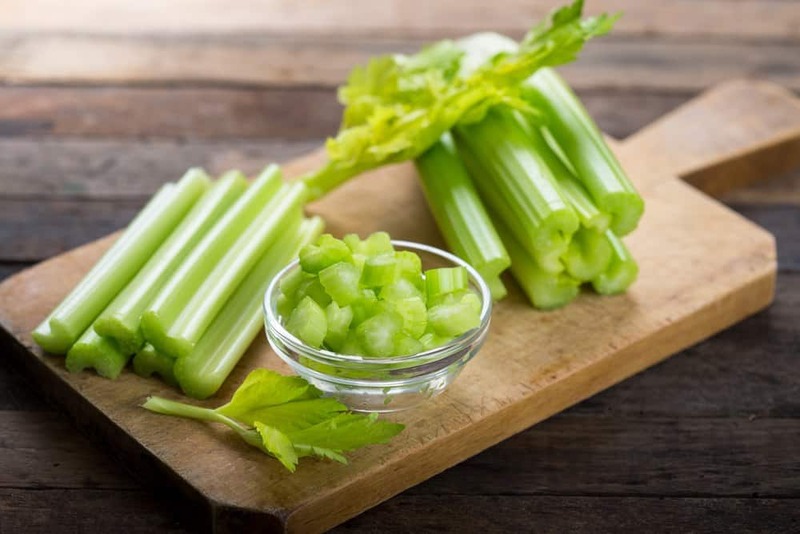 Did you enjoy the list of vegetables that can be a good substitute for celery? Well, I surely did since I’ll no longer feel devastated each time I make a recipe without a celery available. For the best taste, always choose fresh vegetables. If you have any questions or want to share a celery substitute that’s not listed here, let us know in the comments section. Don’t be shy to share this article if you liked it!